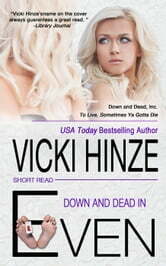 Welcome to Down and Dead, Inc., where, to Live, Sometimes Ya Gotta Die. Caroline Branch Easton is trapped in an abusive marriage. She's tried to leave her rich and powerful husband, Martin, and paid a horrible price for the attempt. But thanks to her sister, finally she has an escape plan. One they both pray will be successful and grant Caroline the safety and respite she needs to heal. But Martin refuses to let that happen. Now Caroline and her sister are in dire jeopardy from him and his hired henchmen. 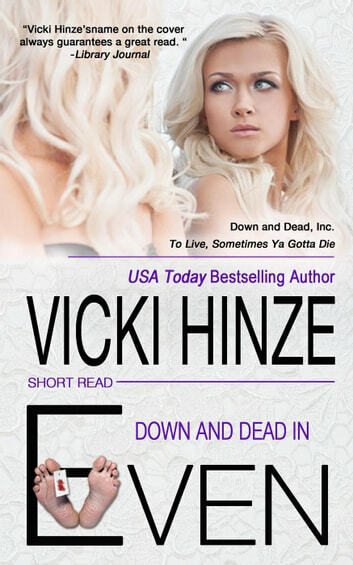 One of them is fortunate enough to make their way to Down and Dead, Inc., where she finds help of a unique variety… if she can summon the courage to take the bold risks required. Will she succeed and reclaim her life?